Weekday rowing changes with daylight savings time. Sunday rowing time changes when announced on Facebook and this website. 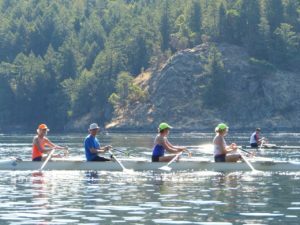 Adults can row at Quamichan Lake year round at any time of the day.